Fancy a ski trip to The Italian Alps? Woodkirk students take to the slopes. 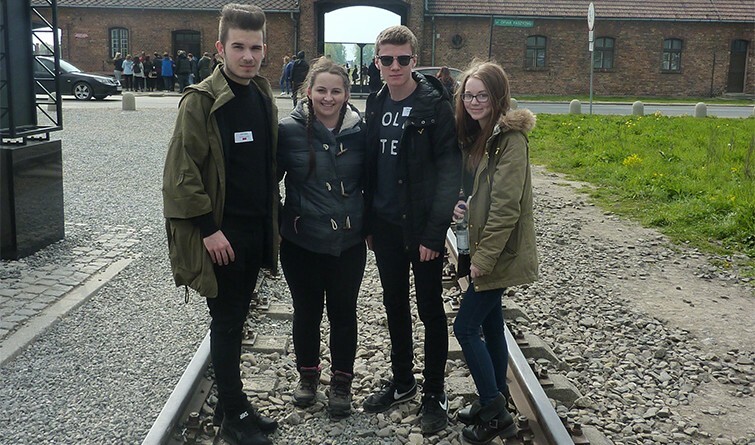 This year, four of our sixth form students were selected to take part in the ‘Lessons from Auschwitz’ - a one day visit to Poland. The students began their day at Auschwitz I where they were given a tour of the camp by a Holocaust expert. The students experienced all aspects of the camp, from the living conditions to the gas chambers, and were prompted to reflect on their thoughts and feelings along the way. In the afternoon, the students moved on to Auschwitz Birkenau. After touring the camp, the students took part in a memorial service at the ruins of Crematoria II. When the service concluded, they were each asked to light a candle to represent light overcoming the great darkness of the camp. All students agreed that the trip was a harrowing, yet a great experience!